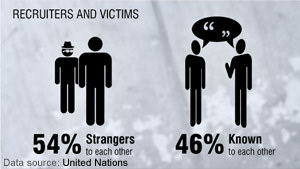 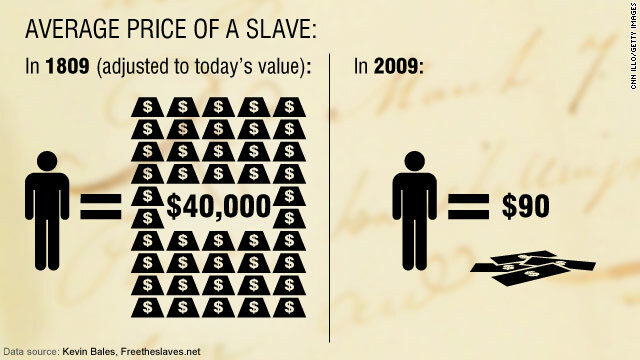 The average price of a slave has decreased during the past 200 years, according to Kevin Bales, a leading abolitionist who has written several books about modern-day slavery. 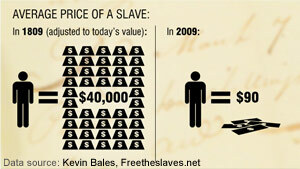 In 1809, the average price of a slave was $40,000 when adjusted to today’s money. 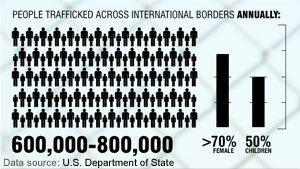 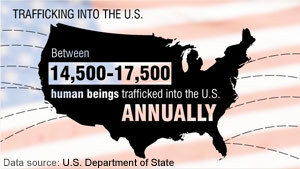 In 2009, the average price of a slave was $90, Bales says.